The electrical definition of ripple is AC Voltage divided by DC Voltage, AC/DC x 100 = % Ripple. Use a voltmeter that measures AC voltage and DC voltage separately (some inexpensive voltmeters measure DC when on the AC volts scale). The way to measure ripple is to measure the AC voltage and the DC voltage and then divide the readings. If the measurement is taken at the rectifier it will be a measurement of how well the output ripple filter is working. If the measurement is done at the tank, it will be a measure of effectiveness of the ripple filter in the rectifier plus the filtering effects of the bus bar system and the tank chemistry. Bus bars or cable systems have inductance and chemistry tanks look like capacitors. The effect of the bus bar system and the tank is that of an electrical filter. The filtering effect of the bus bar system can be used to provide a safety factor in the ripple specifications or used to reduce the cost. ​​Several rating systems exist for specifying ripple. • Depending on the rectifier, Ripple Filters can be built into certain rectifiers at the time of order placement to minimize the space required for the rectifier/filter combination. • Stand Alone Ripple Filters are Convection Cooled. • External Ripple Filters can be added to almost any existing rectifier. 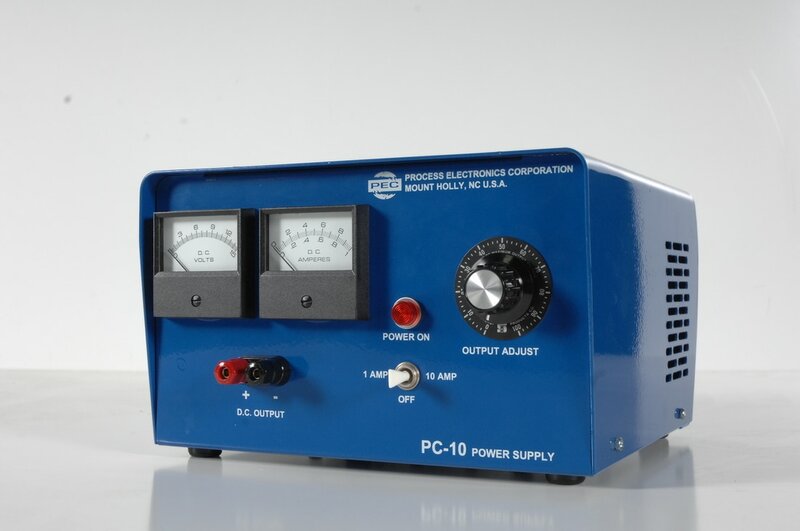 • 0 to 15,000 Amps. • 0 to 24 VDC. • Other Ranges available upon request. • Ripple Reduction to 5% (or less) of RATED VOLTAGE from 10% to 100% of rated output. • Ripple Reduction to 1% (or less) of RATED VOLTAGE from 10% to 100% of rated output. • Ripple Reduction to 5% (or less) of SET POINT from 10% to 100% of rated output. • Other Ratings available upon request. Contact a PEC representative for more information regrading Ripple Filters and to discuss your specific requirements.